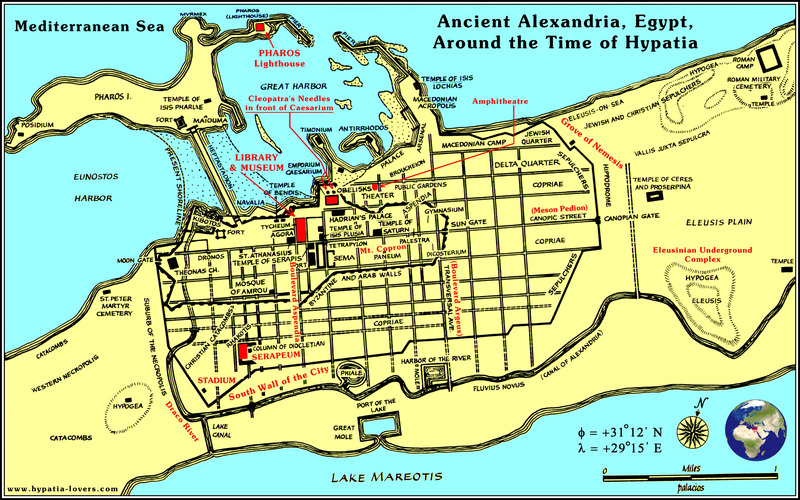 Alexandria stretches along the Mediterranean Sea, from Abu Qir Bay in the east, all the way to the Western Harbor. We will find ourselves primarily in the area around the Eastern Harbor, which is split from the Western Harbor by Pharos Peninsula and the ruins of the ancient Pharos Lighthouse. 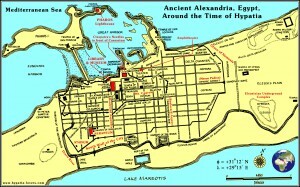 The Corniche (also known as 26 July Avenue) is the extremely bustling main road that runs along Alexandria’s coastline. Unfolding off of the Corniche, right on the waterfront, is Sa’ad Zaghloul Square, a central point in downtown Alexandria. All three of our hotels are situated on or near Sa’ad Zaghloul Square; one of them, the Hotel Cecil, houses a branch of the National Bank of Egypt where you will be able to exchange currency. From Sa’ad Zaghloul Square, the Bibliotheca Alexandrina is a short walk east, down the Corniche. At the southwest corner of Sa’ad Zaghloul Square is the English-speaking Tourist Office. At the southeast corner of Sa’ad Zaghloul Square is the Ramal Square and the Ramal tram and bus station. In the Ramal Station Square you will find Menatel pay phones, as well as a Post Office (open Saturday – Thursday from 8am-3pm). 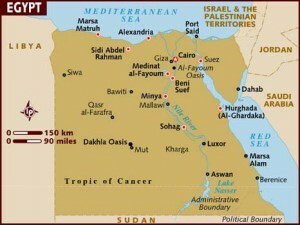 Heading south from Ramal Station on Safia Zaghloul Street will take you to one of the city’s internet cafes. Pharmacy Strand lies at the intersection of Safia Zaghloul Street and Sa’ad Zaghloul Street, and is open from 9am-1am.